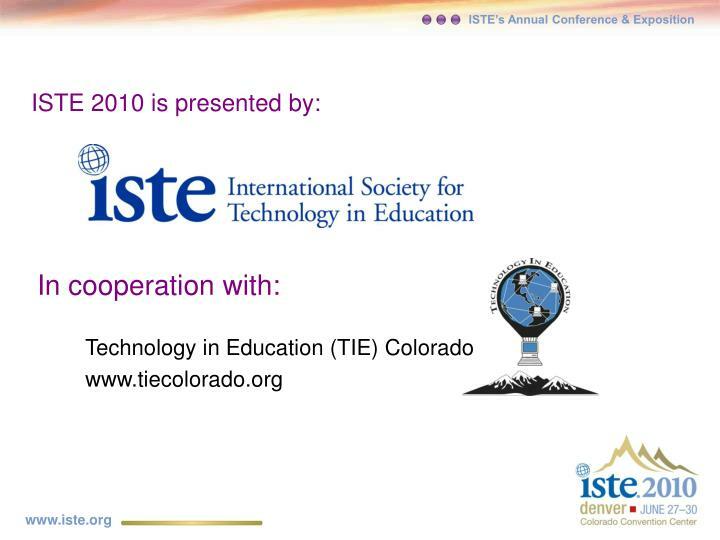 ISTE 2010 is presented by: In cooperation with: Technology in Education (TIE) Colorado www.tiecolorado.org About ISTE ISTE members are advancing excellence in learning and teaching through innovative and effective uses of technology in PK–12 and teacher education. 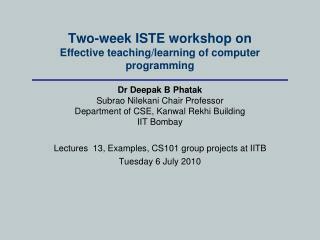 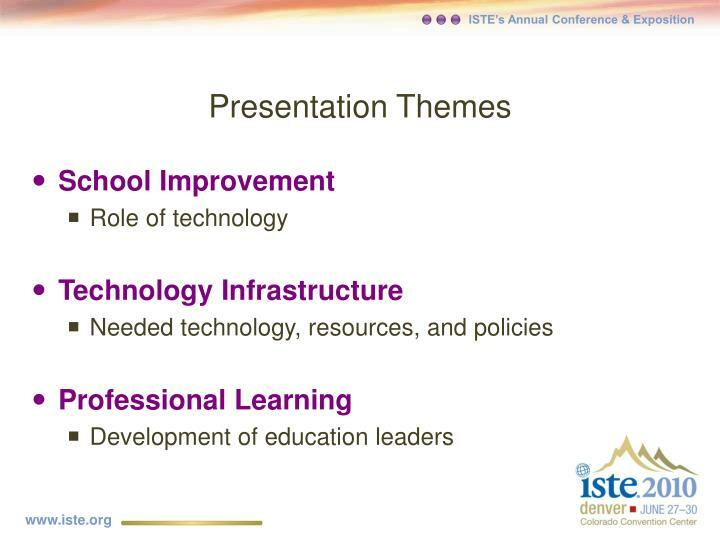 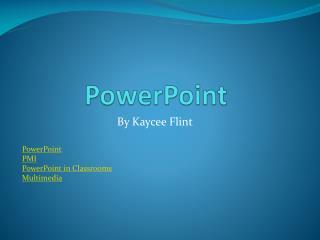 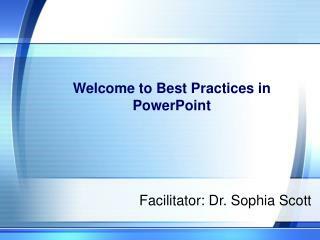 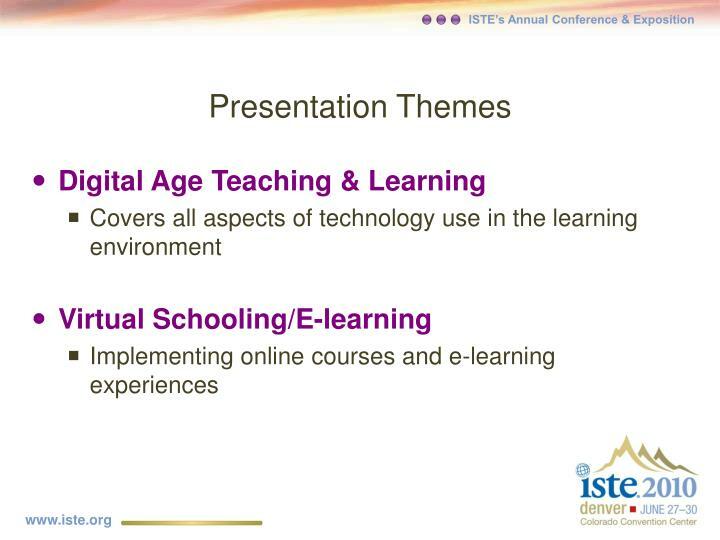 ISTE members are advancing excellence in learning and teaching through innovative and effective uses of technology in PK–12 and teacher education. 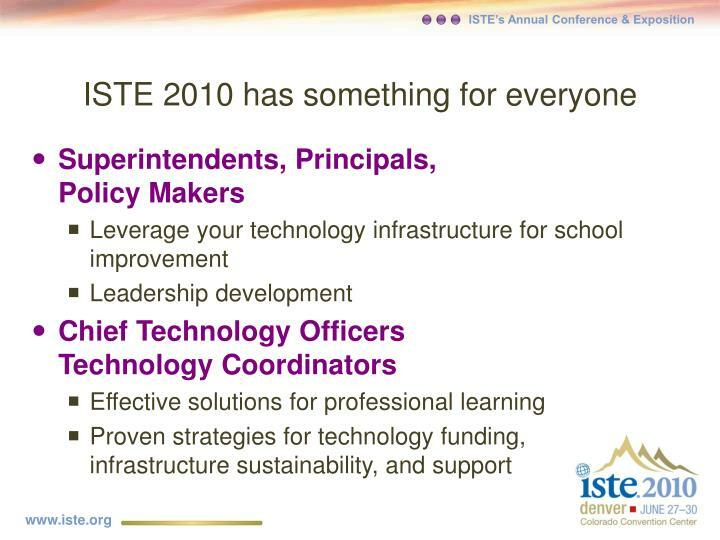 ISTE is the membership association for educators and education leaders who are passionate about ed tech. 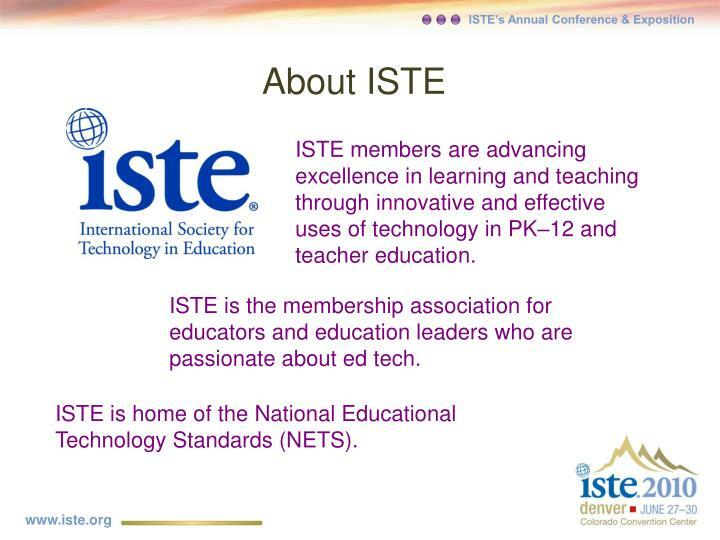 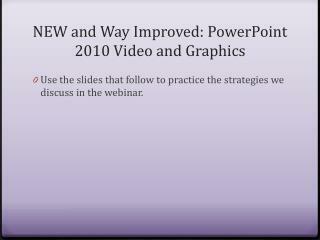 ISTE is home of the National Educational Technology Standards (NETS). 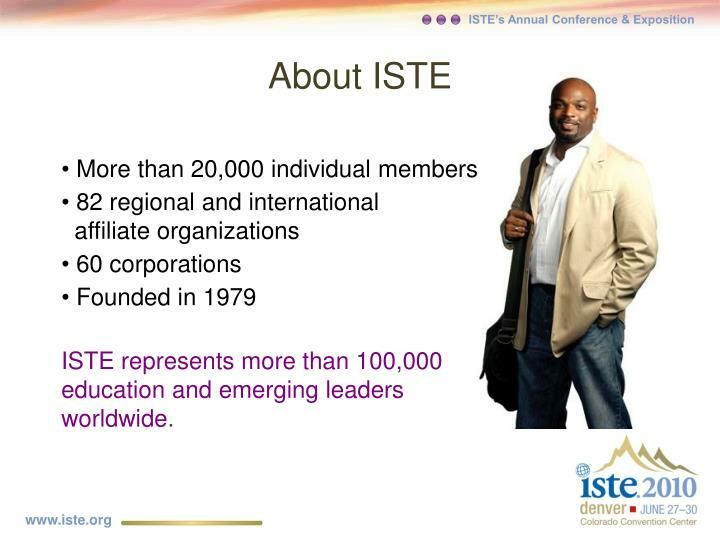 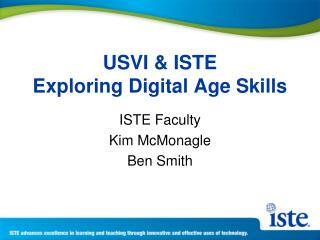 ISTE represents more than 100,000 education and emerging leaders worldwide. 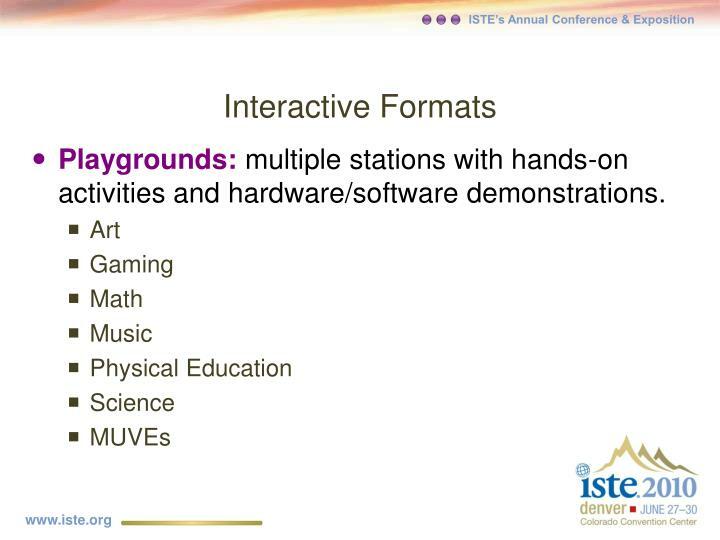 Playgrounds:multiple stations with hands-on activities and hardware/software demonstrations. 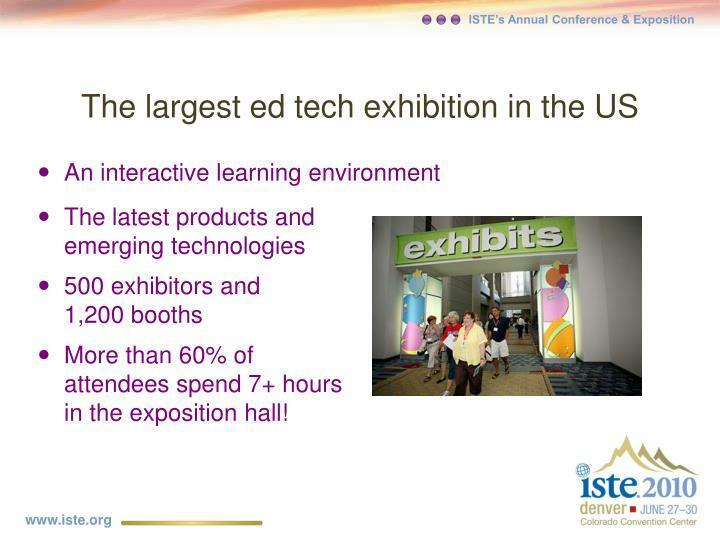 More than 60% of attendees spend 7+ hours in the exposition hall! 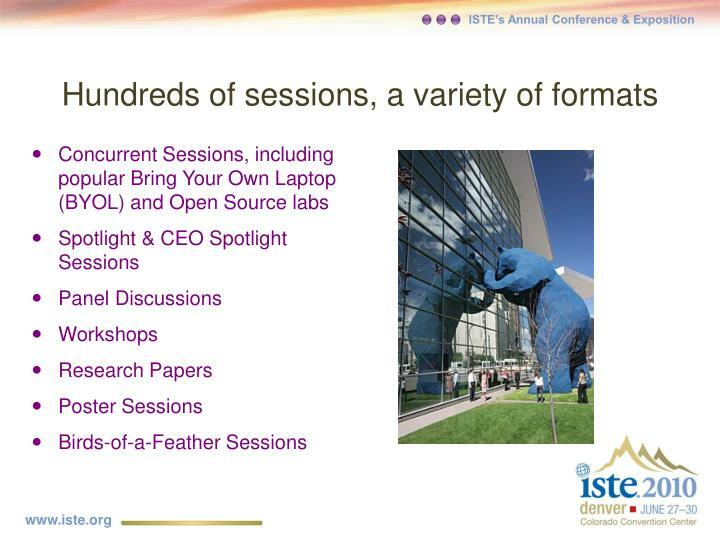 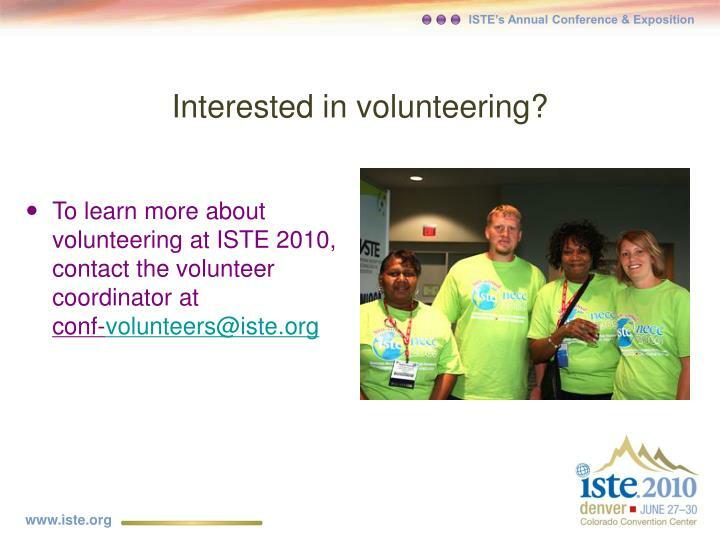 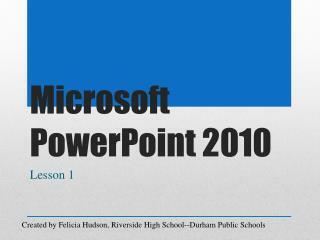 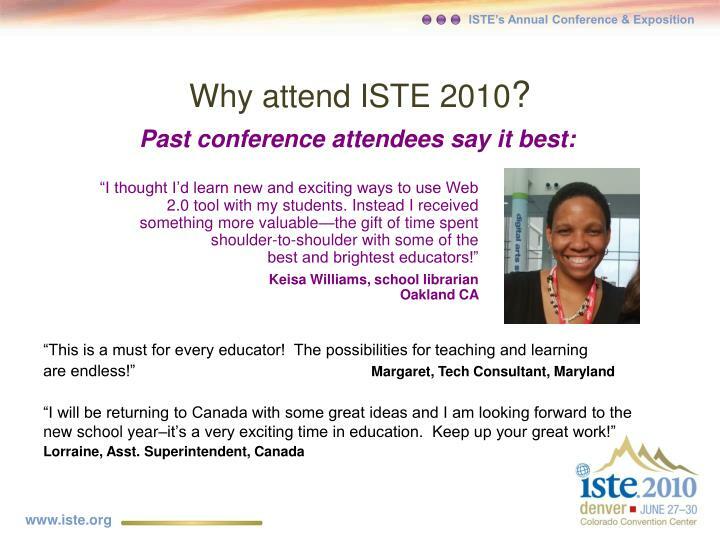 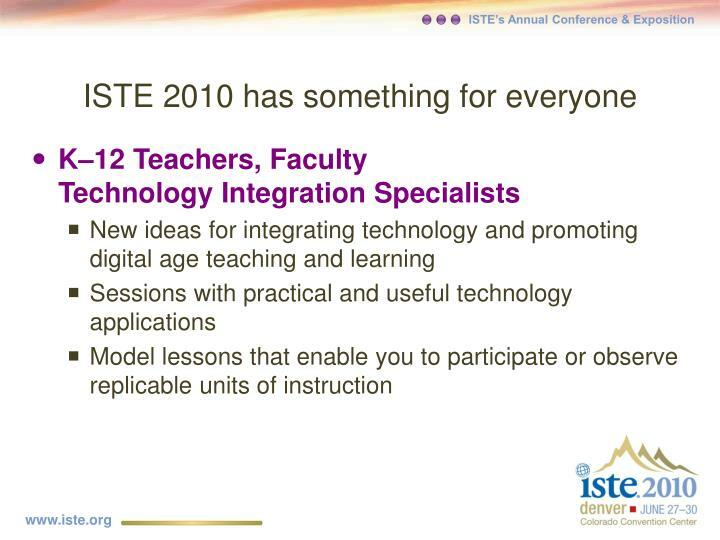 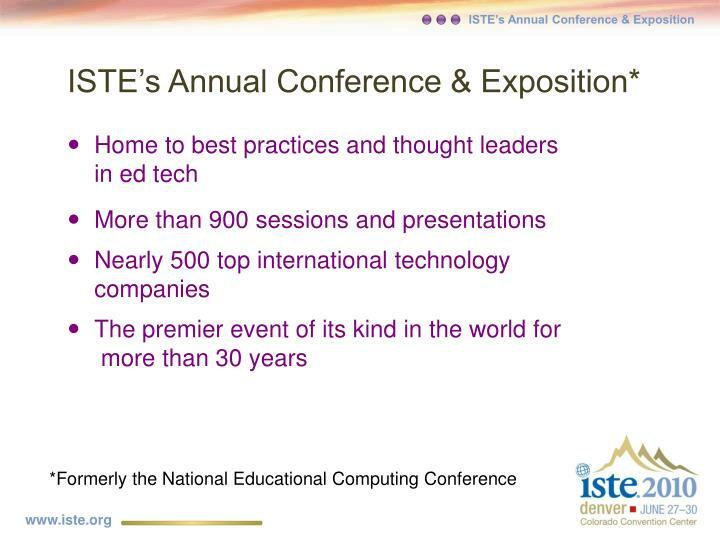 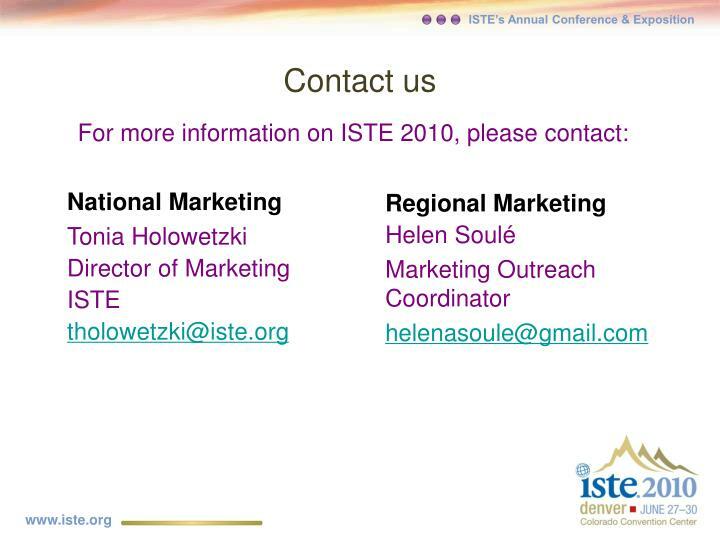 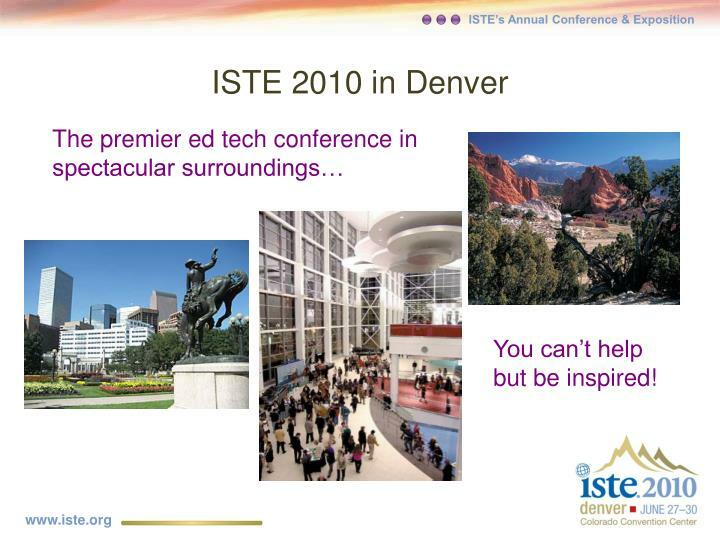 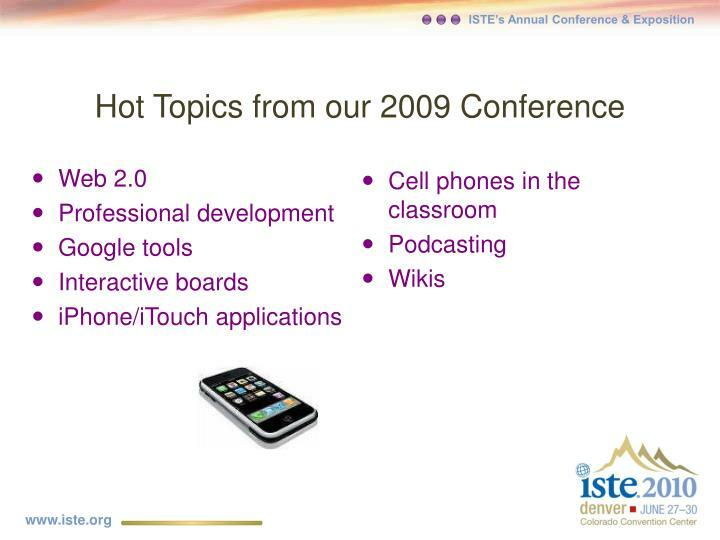 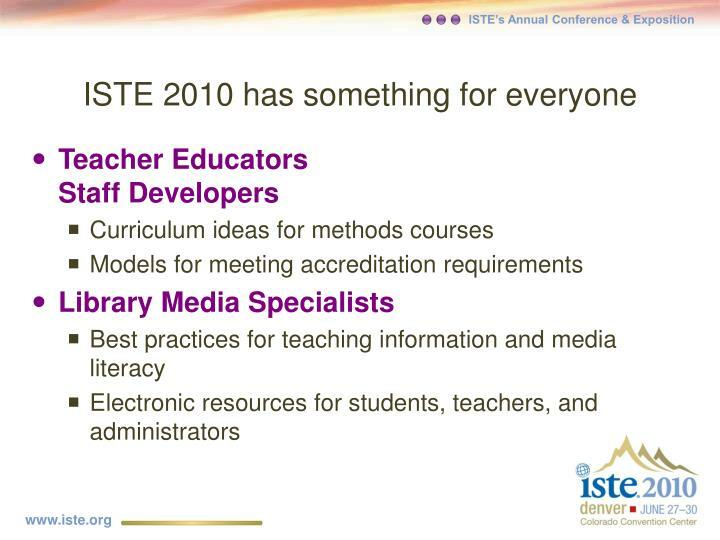 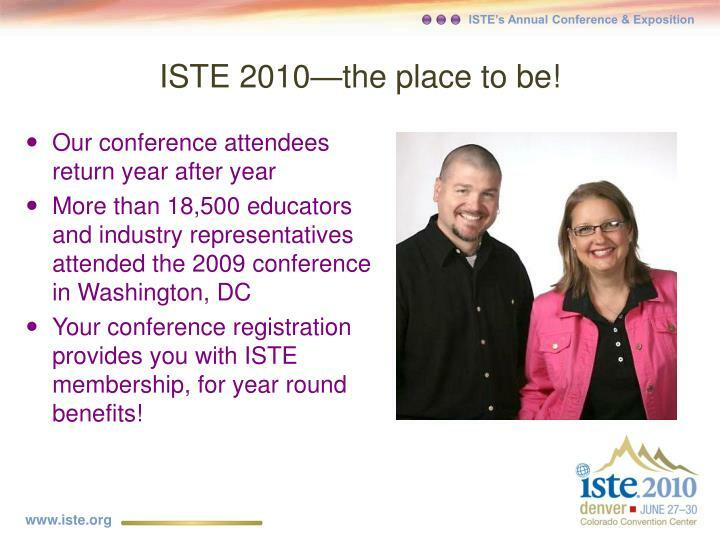 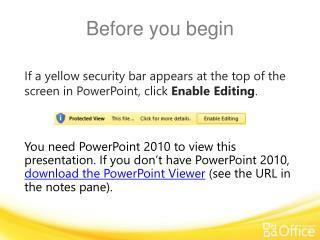 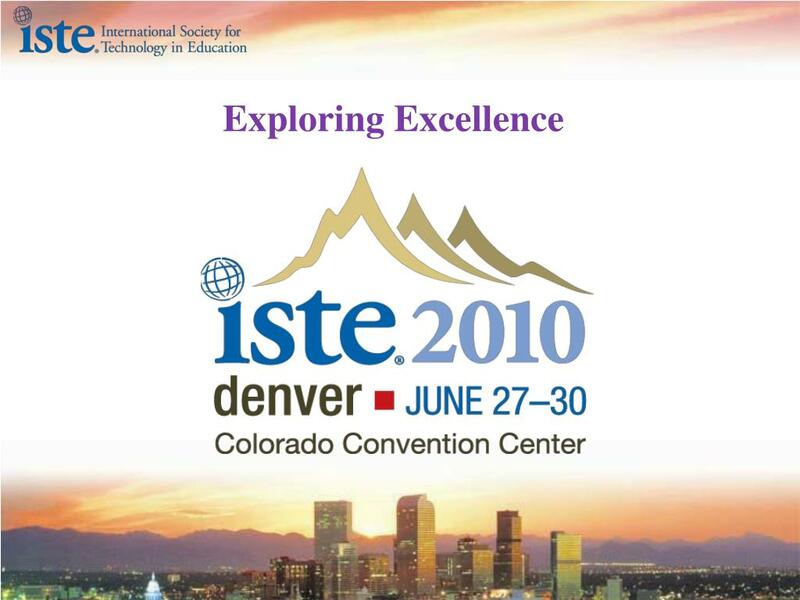 ISTE 2010—the place to be! 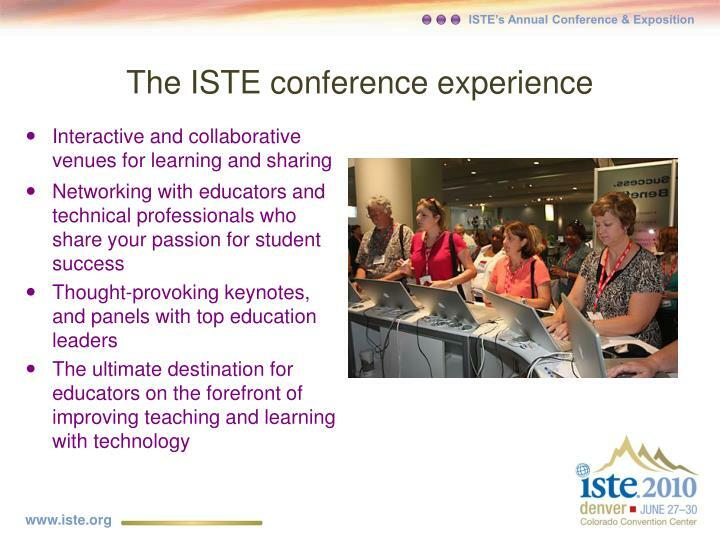 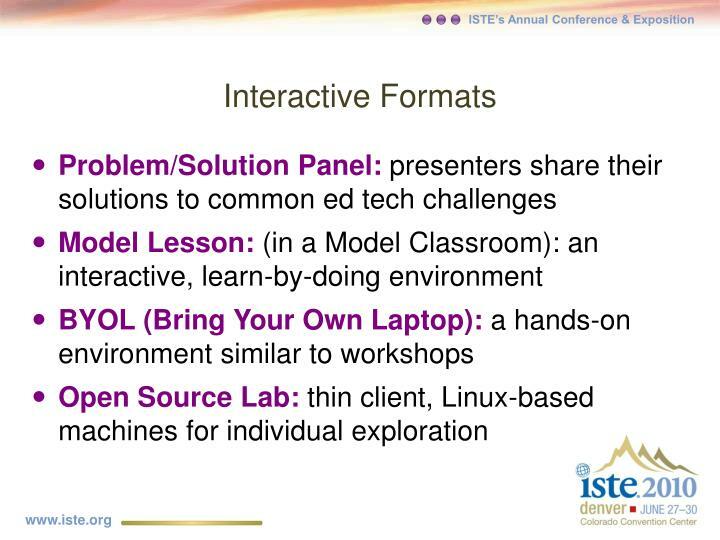 Your conference registration provides you with ISTE membership, for year round benefits! 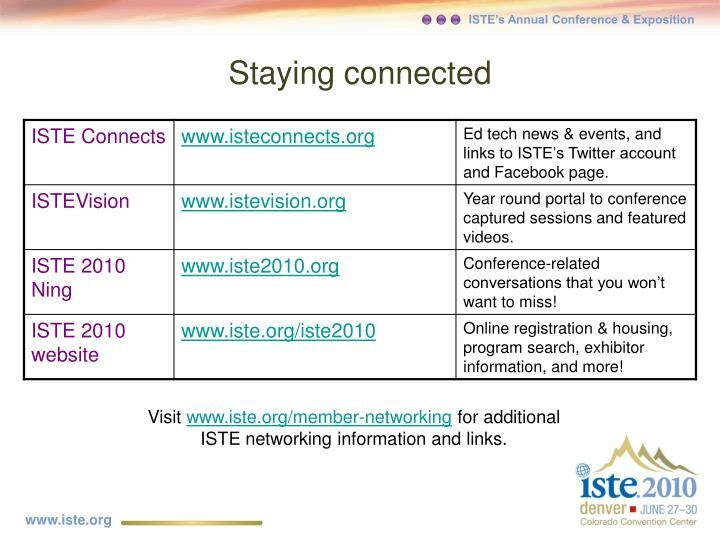 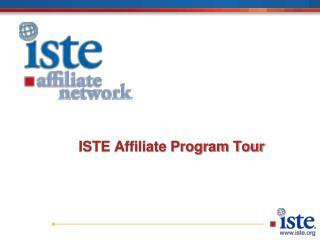 Visit www.iste.org/member-networking for additional ISTE networking information and links. 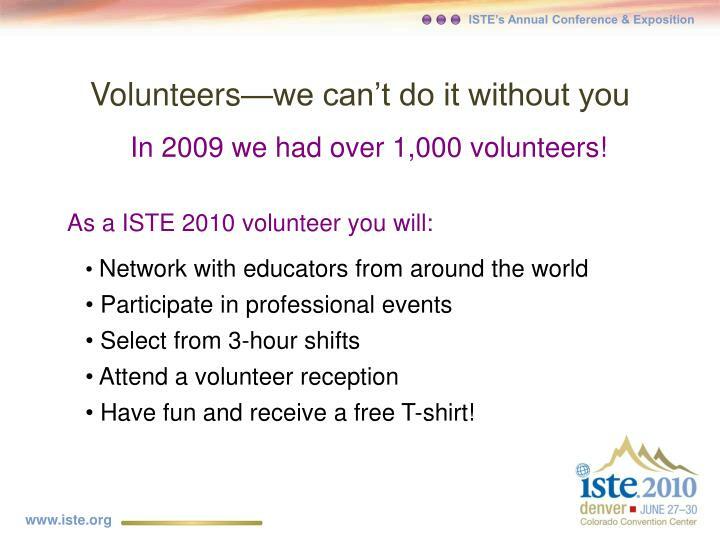 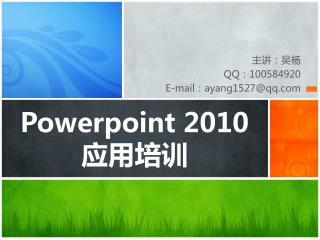 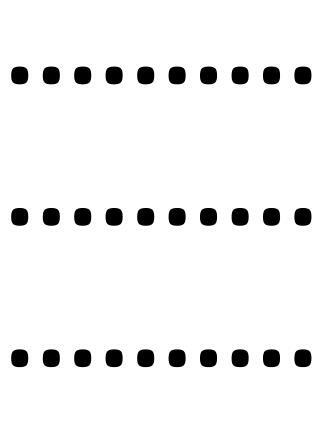 In 2009 we had over 1,000 volunteers! 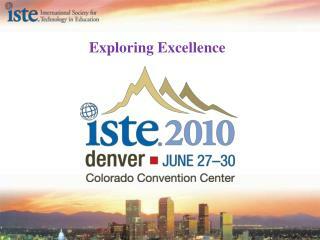 Have fun and receive a free T-shirt! 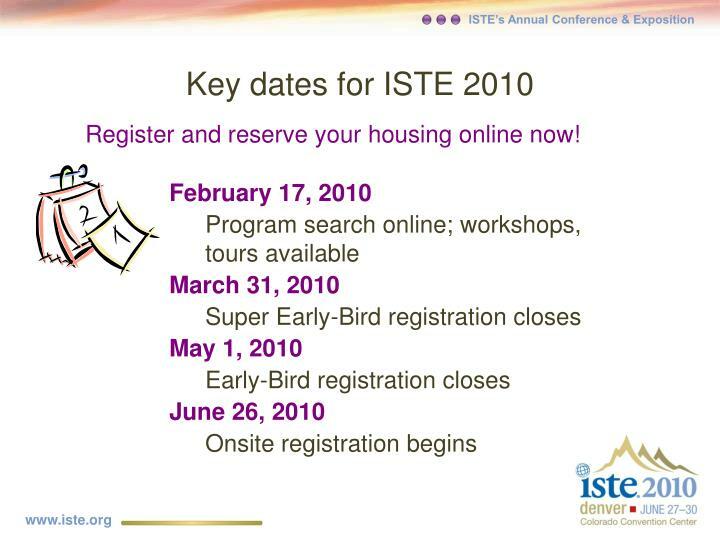 Register and reserve your housing online now! 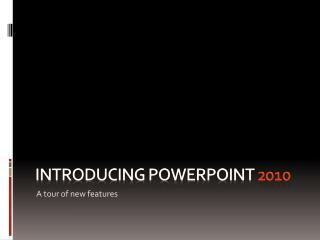 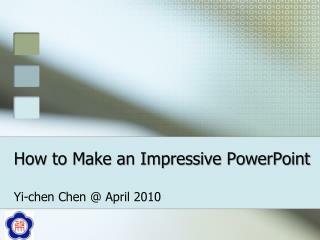 You can’t help but be inspired!